To facilitate travel between Wayne Co., Miss. and points west, W.C.C. 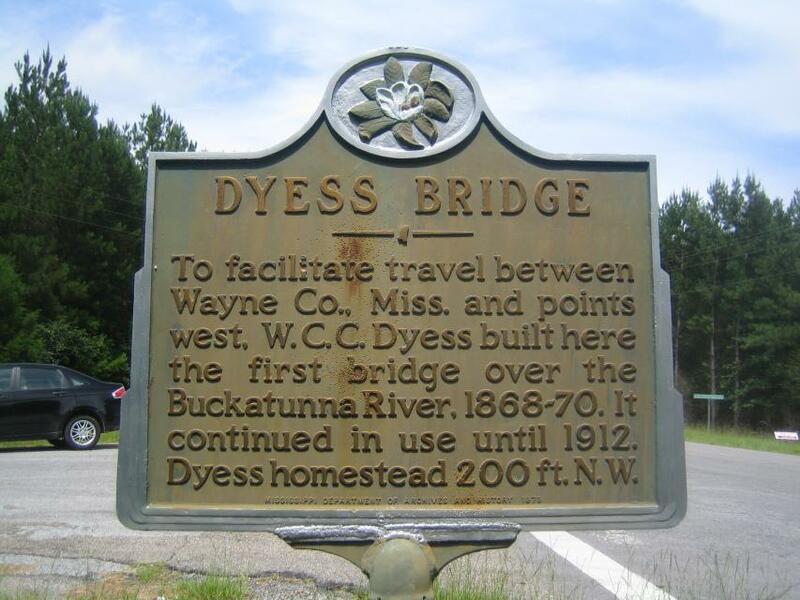 Dyess built here the first bridge over the Buckatunna River, 1868-70. It continued in use until 1912. Dyess homestead 200 ft. N.W. This marker can also be identified by its HM code. You can use the hashtag #HM1IUR in tweets, and any other place where you might refer to this marker, including when searching on this site.